On my blog you can already download clothes for YA and Adult females, but these are for babies. With this every baby can have a different outfit and you can change it as much as you like. This is NOT A DEFAULT REPLACEMENT. Your babies can switch outfits as much as you want! I'm not a huge fan of babies in the Sims 2. 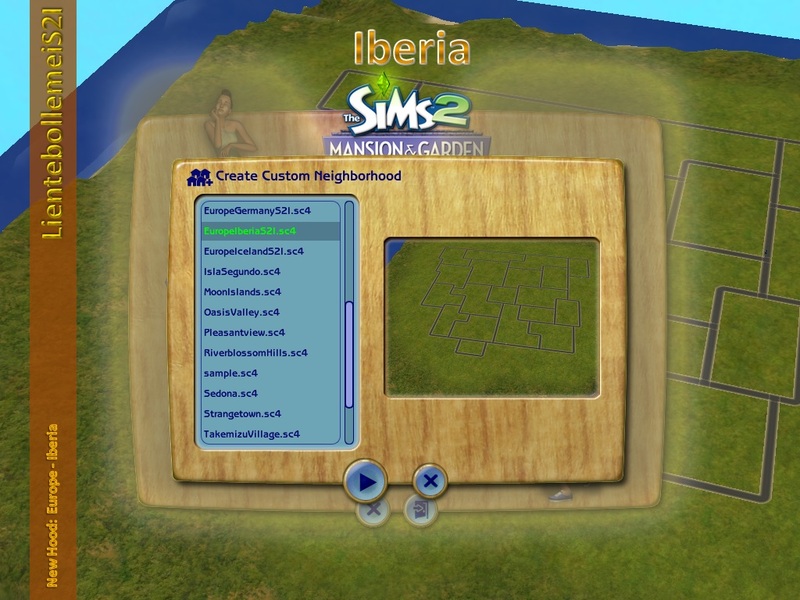 They can't do anything and the sims cannot do much with them. It's a lifestage that I always hope to go by quickly. But now they can have different outfits every day. I want to have them with my sims a little longer now. This is actually a recolor of the mesh made by Fakepeeps7. 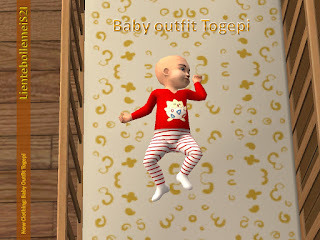 You'll need Chris Hatch's mod (http://bit.ly/1dobWoV) to use these clothes (otherwise, they won't show up and your baby will just wear a diaper if you don't have any other defaults installed). All outfits are unisex. The Pets EP or higher is required to use the mod. 0. Purchase the Buy Baby Outfit teddy bear. You can find it in the Kids section. It's a teddy bear and costs $49. 1. Have your parent Sim either hold their baby or put their baby on the floor. I haven't checked this with every possible combination of relatives, but an unrelated adult CANNOT get new clothes for a baby. Didn't think to check with teenagers. Somebody try it and report back? 2. With your parent Sim selected, click on the teddy bear and select "Buy Outfit For..." which should lead you to the names of all infants ant toddlers in the household. Click on a toddler's name. 3. A standard clothing-purchase window will pop up. DO NOT CLICK ANY AGE ICONS. Click on one of the gender icons instead. That's the only way to get to the baby clothes. Select and purchase baby clothes as you would normal clothes; they only cost $25 each so stock up. Hit the check-mark to buy clothes. 4. When the clothing purchase window closes, a plan outfit window will appear. So... plan your outfit. 5. If you forgot to plan your outfit, panicked and hit Close, or just want to change your baby's casual clothing for the season, buy one of the Maxis changing tables and have a parent Sim Plan Outfit For their baby as they would for a toddler. If you still have questions, please, use the commentsection. I'm open to questions. 2. Don't modify or upload my work without permission. Just send me a PM. 3. When using my work in your pictures, please, give credit (name and link) so people know where to download it. Chris Hatch for the mod!